After yet another disappointing season in which the New York Knicks finished 29-53, they enter this summer with reason for rare hope and optimism. 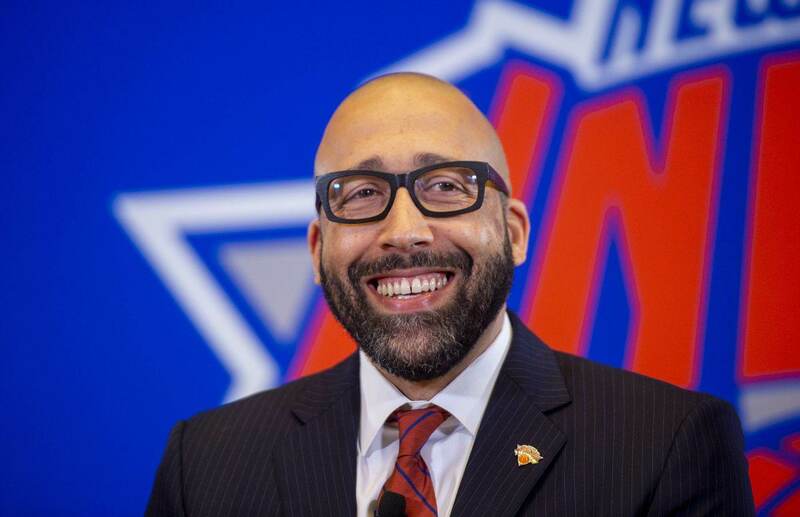 Arguably the most crucial of those reasons is the hiring of head coach David Fizdale. Since 2000 the Knicks have had 11 different head coaches, and Fizdale will be the fourth﻿ head coach since Kristaps Porzingis was drafted in 2015. It was absolutely imperative for the Knicks to get this head coaching hire right, and by all preliminary signs, they did so by hiring Fizdale. The Knicks also hit a home run during the 2018 NBA Draft. At least, by my standards. Holding the 9th pick the Knicks were able to add a dynamic scoring wing to their offense in Kentucky’s Kevin Knox, something which was severely missed last season. While the Knicks’ offseason has been strong thus far, they must cap it off by remaining smart and patient throughout free agency. And, they’ll need a little luck in decision making from their current free agents as well. If the following steps can be executed, I would consider the 2018 offseason a complete success for the New York Knicks as they rebuild for 2019. Knicks center Enes Kanter has a player option for the 2018-19 season, and in a lot of ways, the Knicks flexibility this summer depends on Kanter’s decision. The final year of Kanter’s deal is worth over $18 million, providing a serious cap hit on a rebuilding team. Kanter was more-than-solid in his first season with the Knicks, averaging a double double and leading the team in PER at 24.02. Despite Kanter’s productivity in 2017-18, he shouldn’t be apart of the long term plans of the Knicks. And if you aren’t part of the long term plans, I don’t see why you should be around for the short term either. Hopefully, the Knicks can shed Kanter’s salary and look to add cheaper contracts to fill his void on the court. Speaking of large cap hits from veterans, lets talk a bit about center Joakim Noah. The last regime gave Noah a huge﻿ contract, one that looked crazy at the time and appears even worse now. Noah clearly did not get along with former Knicks head coach Jeff Hornacek, but maybe new coach Fizdale can reach him better. Regardless, Noah is going to cost this team a lot of money the next two seasons, so if you can’t find a trade partner you might as well make him as productive as possible for your team. The Knicks need to handle this situation gracefully if they hope to both attract and afford free agents down the line. Okay, this might be more of a mid-season goal, but we can discuss it now as well. Guard Courtney Lee is owed over $24 million the next two seasons, and despite being arguably their most consistent scorer outside of Porzingis, the Knicks need to find a trade partner to send Lee elsewhere. Lee has been good in the locker room and productive on the court, but for a rebuilding team looking to get younger, paying him this salary is not a smart move. If the Knicks can send Lee to a playoff team looking for a scorer off the bench for a late first round pick, they would be in business. Believe it or not, the Knicks are not in a bad situation whatsoever. With Kristaps Porzingis, Frank Nitlikina, and Kevin Knox New York has their young core in place. Plus, they should have another lottery pick next year to add to this youth movement. As long as the can stay patient in free agency and not give out any contracts which they will regret in two years (like Noah’s deal), they should be contenders for big free agents as early as next summer. For the New York Knicks, it’s not about winning now, it’s about building a team which can win a lot down the road. Don’t fall victim to the types of free agents prior regimes would’ve overpaid. Stay patient, and wait this thing out. For once, the Knicks have a chance to practice smart team building.